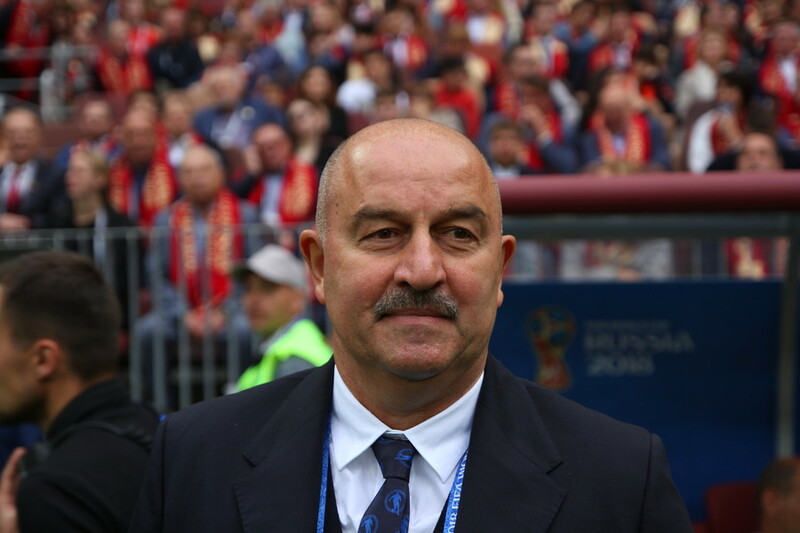 The Russian football authorities are set to extend national team coach Stanislav Cherchesov’s contract for at least a further two years, following the team's impressive World Cup campaign. Cherchesov, 54, recently guided Russia to the World Cup quarter-finals and will be rewarded for his success with an extension of his contract on a ‘2+2’ basis, according to TASS. The agreement means he will remain in charge until at least the European Championships in 2020, after which the option of a further two years will be discussed. The contact will be worth in the region of €2.5 million (US$2.9 million) a year, although performance-related bonuses could see the figure rise to €3 million, according to Sport Express. Cherchesov, a former national team goalkeeper, led Russia on a historic run at their home World Cup that surpassed the expectations of many. They were the lowest-ranked team heading into the tournament, leading to heavy criticism for Cherchesov and causing many to fear an embarrassing early exit. In the event, the team emerged from the group stage with two wins from three games – including a 5-0 opening game hammering of Saudi Arabia – before sensationally beating Spain in a last-16 penalty shootout. Their run came to an end in the quarter-final when they suffered an agonizing penalty shootout defeat to Croatia after the scores had finished level at 2-2 following extra-time. Despite the defeat, the team and its management were hailed as heroes for having restored pride in Russian football. Russian Football Union executive board member Igor Lebedev told TASS that officials were unanimous in their decision to extend Cherchesov’s contract, which was due to expire next month. "Members of the Executive Board have voiced a unanimous support on the extension of the current contract with Cherchesov as well as with the rest of the coaching staff for a new term under a 2+2 scheme. The contract will be signed in the days to come,"
Cherchesov’s achievements in guiding the team on the historic run were also recognized by FIFA, which including him among the nominees for the Best Men’s Coach of the year award, to be announced in September. The basic financial terms of Cherchesov’s new contract do not appear to be significantly difficult from the previous agreement, however, with reports that the coach was on a similar sum of around €2.4 million before the World Cup – making him the fifth-highest paid coach at the tournament. However, bonuses could see that figure rise for the new deal. 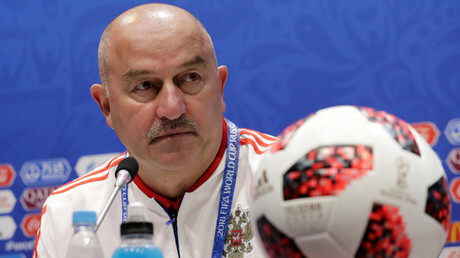 Cherchesov took the reins as Russia coach in 2016 following the nation’s disastrous showing at the European Championships that year, having previously managed at club teams in Russia, Austria and Poland. His next challenge will be leading Russia at the new UEFA Nations League tournament, which kicks off in September. Russia will appear in League B and have been drawn in a group with Turkey and Sweden.